Home » Posts tagged "Evan Glowzinski"
Here I am flying home to spend some well-deserved, though I’m sure under-appreciated, time with family and friends. So where does this flight lead? On a human level, it brings me home to celebrate my finishing of the Pre-Theology program and of earning my Master’s of Arts in Philosophy and Religion. It brings me back to the area where I grew up and where I had some of my happiest moments, some of my most joyful moments, some of my saddest moments, and yes, even some of my worst moments. For me, it all started back in this area. From childhood, to being a preteen, teen, young adult, and depending on the day, a full-fledged adult. This flight has given me time to reflect on many different aspects of my life thus far. Two years ago I left my job at Kennesaw State University – a job I loved very much. I enjoyed the people I was blessed to work with and the challenge of constantly learning and honing my skills brought its own satisfaction. I thoroughly enjoyed the many different aspects of my life from this time. Going to school, working in a fulfilling career, and yes, even working with teenagers in ministry. For many, on the outside, my life was perfect and complete. I was young, successful, and involved in everything one could possibly be involved in. Yet, two years ago I left it all behind – at least in a particular way. It should be no surprise for those reading this that two years ago I entered Mundelein Seminary for the Archdiocese of Atlanta. A decision that required me to give up that successful career, the awesome youth ministry position, and my own endeavors and desires. So many ask me, “Why”? “Why would you give all that up”? “Why would you give up a family”? “Why would you change when you are clearly happy”? Over the last few years I have reflected on these questions many times. At the heart of all of these questions is a more fundamental question that always raises the curiosity of some, the walls of others, and the suspicions of a few. The answer that I continue to give is the one that I was given my first night at the first college I ever went to (The University of North Georgia) – one that changed my life forever. It was an answer told to me, in the deepest part of my heart; a place that had been unexplored and in disrepair prior to that moment. While sitting in my first dorm room for the first time, I spent a moment in quiet reflection. So many different things were happening and while they seemed to be of my own plan and desire, there was an overwhelming fight going on in my heart. That night my soul was crying out without me even realizing it, and before I even realized what was happening, He answered. In that vulnerable place of my heart, a single proposition was given to me. It took me many years to realize Who said it, and what He would eventually mean by it. In the heart of a 19 year old kid that was headed down a path of destruction, the Lord responded: “Evan, you can stay here. You can accomplish all of these goals you have set for yourself and I won’t stop you. However, if you stay here you won’t be who you were meant to be”. That one response changed my life, albeit not without a long road of difficulty, growth, and vulnerability. While this is a story I would love to one day share in more detail, I doubt you would want to read a book-sized article. Instead, I would like to focus on where I am now. After finishing my first two years of Seminary and finishing up the first phase of my formation, I can say I am taken aback by how much support I have received over the last few years. My heart is full of love, gratitude, thanksgiving, and praise for the Lord’s invitation to me to take a chance on Him. Never in a million years would I have thought I would be where I am today. I have some of the closest and deepest friendships I have ever had. I have started to heal wounds that were either caused by me or inflicted upon me. I have slowly moved to having a heart of forgiveness and love while not being afraid to stand for truth. Ultimately the last two years have brought me freedom, confidence, joy, and hope. Four words I never thought were possible years ago. For those reading this please know of my continued prayers for you and I ask you to please keep me in your prayers as well. This summer I will be attending the Institute of Priestly Formation (IPF) in Nebraska. This program is a summer dedicated to spiritual strengthening and is designed to give seminarians time to learn about and grow more deeply into a beloved son of God. I am looking forward to this opportunity and whatever fruits it may hold for me. Starting this August, I will begin First Theology at Mundelein Seminary and will be (hopefully) receiving Candidacy. 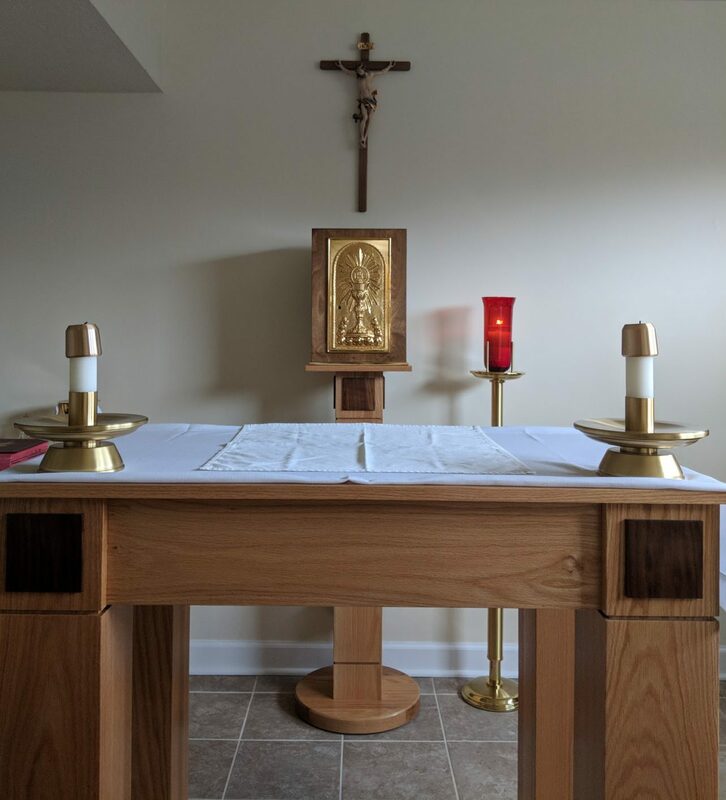 Candidacy is a canonical point in formation where a seminarian petitions the Bishop to ask for his blessing and approval to move forward in formation towards the priesthood. It is a sign of a seminarian and the diocese coming together to work more closely. In many ways, it can be seen as an engagement. Where a man commits himself in a more particular way. No matter where you are in life, or how old you are, never be afraid to chase your dream – but don’t let the chase of the dream blind you to what other plan God may have in your life. How boring would life be if everything only worked out the way we had planned. God loves you more than anyone could imagine and has a plan completely and uniquely designed for you. The most amazing thing about this plan is that God only offers it to you. He leaves the choice up to you. No matter the path you choose, you will never be abandoned; and it doesn’t mean you won’t be fulfilled, but only God’s plan will make use of everything that makes you, you. Never forget you are loved, never forget you are heard, and never forget that you are never alone. May God’s blessing and love be with all of you. A few months back, my co-teacher and I were planning our weekly PSR (or CCD) class, and the topic was on God’s plan for your life. He shared a video with me and wanted my thoughts on sharing it with the class. The first time I watched it I was only half paying attention but the video had some funny parts and I thought it would make a great addition to our class lesson. It was not until I watched it for a second time that I gave it the attention it deserved and listened to the message it was trying to convey. There is a specific part in the video where the phrase, “Control – Chisel” is said and the context hit me like a ton of bricks. You see, the entire premise of this video was to show us that in order for us to be more Christ-like in our life we must be willing to be “chiseled”, or formed, if you will. It is through this process of formation that we start to remove false motivations, clever masks, and ultimately, where we can break open the doors to our hearts in order for Christ to shine through – letting us become who we are created to be. There have been many times that I have used this phrase when joking with friends whenever they were trying to be in control of a situation; and they have used it on me in the same manner. It was not until recently that I really started to understand the true nature of this tiny little statement in my life. 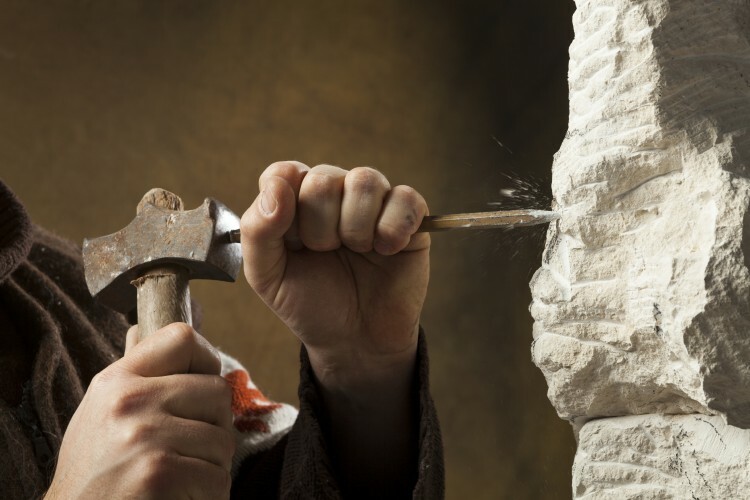 In the last few months I have really been made aware of situations, choices, and struggles that have felt like a chisel, removing pieces in order to temper my soul to reflect more of Christ and less of me. For me, I always find myself asking God to show me areas of my life that need to be worked on, but whenever it comes time to work on them, I always find myself talking and justifying my way out of that uncomfortable nature of formation. If you find yourself relating to that, congratulations you belong to the human race. The process of dying to self and allowing God control over your life so that we may become who we were created to be is a scary proposition. From a worldly perspective, this path of following Christ and allowing Him to form us is an arduous journey best left alone, as the process is too painful and leaves us feeling vulnerable. But my brothers and sisters, we know and believe in more than just a simple worldly perspective. Christ wants us to become who we are created to be to the fullest extent. In order for us to achieve this process the chiseling of different areas of our lives must take place. It is not until we truly learn this idea of self-sacrificial love that we will begin to understand the true beauty of the Resurrection and the Passion of our Lord. I encourage all of you to ask the Lord to show you areas in your life that need to be chiseled and formed to His will. I warn you though, He will show you if you ask. Give him the opportunity and let go of your control so that He can show you the greatness you were made for!